Now that the holidays are behind me and the New Year has arrived, it is time to get my life back in balance! The holidays are always a hectic time for most of us; family occasion after family occasion, shopping trip after shopping trip and meal after meal. I am not only beat from all the activities but I am also 5 pounds heavier. Ugh! It is time to get my life back to balanced and my healthier lifestyle back on track. Now if you know me, you know there are two things I love to have in my grasp at all times, coffee and a sweet treat. Well, guess what?! Thanks to SKINNY COW®, getting back on track can now include both coffee and something to satisfy my sweet tooth. Behold, SKINNY COW® creamy iced coffee. SKINNY COW® has been satisfying my dessert fantasies for awhile now with their delicious frozen treats and decadent chocolatey candies. Now they are fulfilling my coffeehouse fantasies too with their new line of SKINNY COW® Creamy Iced Coffee. You have got to try it! Rich, expertly roasted coffee is folded into creamy, velvety low-fat milk and whipped to deliver a uniquely thick and smooth coffee beverage. I am in coffee heaven over here! The new SKINNY COW® Creamy Iced Coffee comes in three dreamy & creamy flavors; Mocha Latte, Vanilla Latte and Creamy Cappuccino. With each bottle being only 120 calories, I can definitely count on these enjoyable drinks to keep me on track to a more balanced lifestyle this year. Want to try some out for yourself? Well, you are in luck because SKINNY COW® is coming to an area near you! Speaking of Walmart, I had to head there this weekend to stock up on some more of SKINNY COW® Creamy Iced Coffee, located in the chilled aisle. While I was there (and browsing the candy aisle), I spotted the SKINNY COW® Dreamy Clusters! Did I buy some? Of course! Did I regret it? Not at all because these sweet treats keep me balanced and totally satisfy my chocolatey craving with out the guilt. 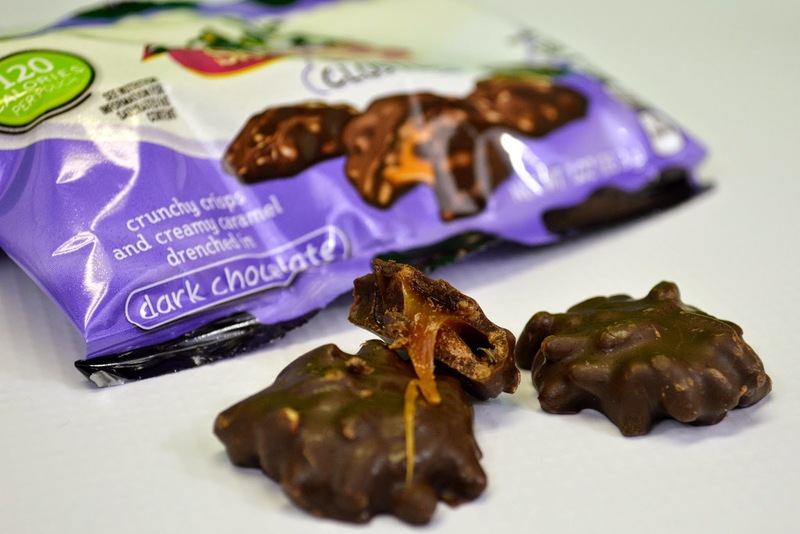 The SKINNY COW® Dreamy Clusters are bite sized, chewy caramel & peanut clusters and are simply delicious! When that chocolatey craving hits, these have been my savor. No over-indulging with these pouches, SKINNY COW® makes staying balanced easy! 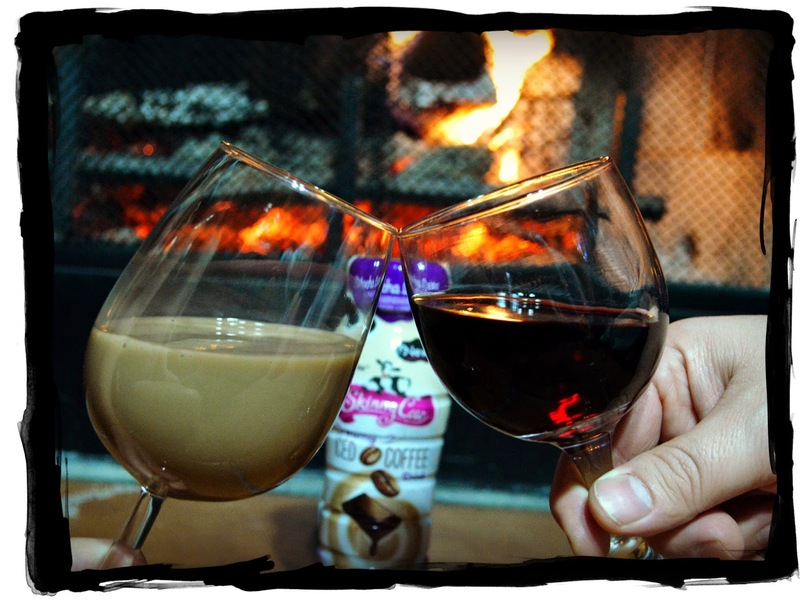 So let us toast to the New Year, to getting back on track, to a balanced lifestyle and to the new SKINNY COW® treats. Head on over and like SKINNY COW® on Facebook. You can also Follow them on Twitter, Pinterest, YouTube and Instagram.